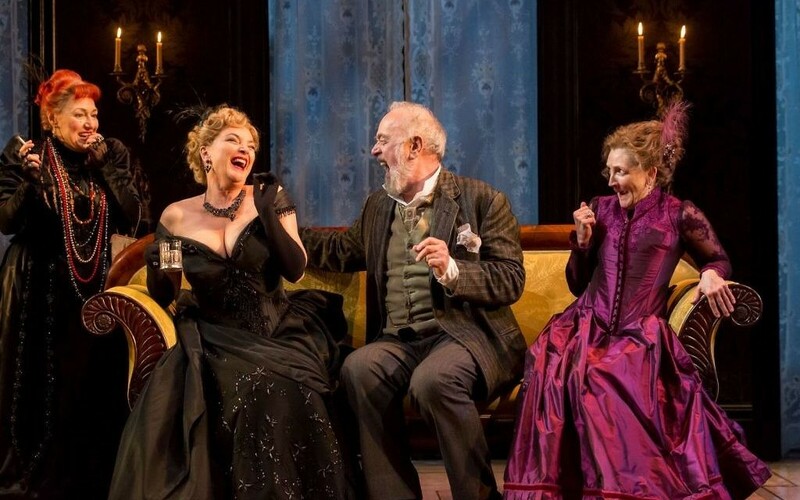 There’s often a mild misconception about Chekhov, in that his plays are hard to understand, or not an easy watch – but this could not be further from the truth in the case of Ivanov, now showing as part of the young Chekhov season at The National Theatre. 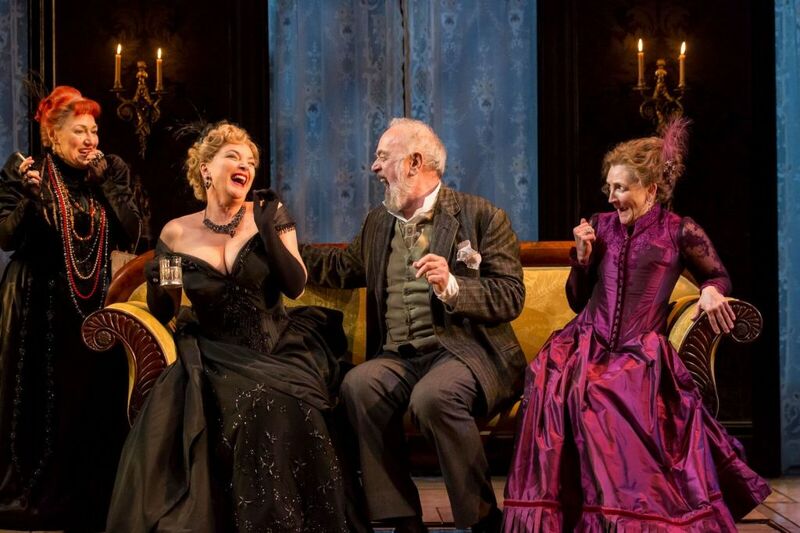 With thanks to David Hare’s brilliant adaptation, Chekhov is even more accessible and the themes explored as relevant as when first written and staged in 1887. Ivanov, played wonderfully by a morose and self-deprecating Geoffrey Streatfeild, is an unhappy dissatisfied man, who has not only lost his fortune, but his Jewish wife is dying of tuberculosis; replace tuberculous with cancer and Ivanov could very easily be a man of today, the sense of depression is relatable and real. Ivanov, like many Russian characters of the time, quite enjoys his melancholy, much to the despair of all those around him and in particular his devoted wife, Anna (tenderly played by Nina Sosanya), who sacrifices her family and religion to marry Ivanov. The play switches beautifully between light and shade with divine comic turns from the supporting cast. Peter Egan as Count Matvyei Shabyeslski is a particular delight. The tone and pace of the play is perfect as the characters all bemoan their dull or penniless or loveless or lonely lives, traits that unite them. Jonathan Kent’s direction is flawless with actors effortlessly addressing the audience outing their inner torments, often with humorous and startling effect. The set is atmospheric with moody lighting changes on cue. The story is underpinned by the Ivanov’s decision to marry a Jew, which reflects Chekhov’s secret real-life engagement to a Jewish woman that ended after a few months. It is speculated that Ivanov’s decision was motivated by money, but in actuality it’s implied he selfishly marries Anna to rebel. Ivanov is so damaged and conflicted that in a fit of rage and frustration he throws the most derogatory insult toward Anna, calling her a dirty Jew; a shocking and pivotal moment in the play. Ivanov is a strong, entertaining and reverting watch, which reaffirms how fortunate we are to have theatre that continues to provide diverse, inspirational and powerful pieces. 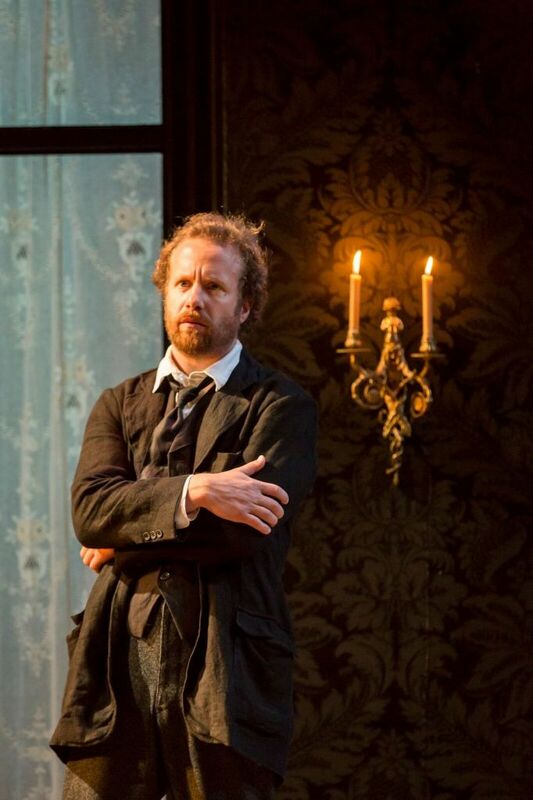 The Young Chekhov trilogy of plays, Platonov, Ivanov and The Seagull are now playing at The National Theatre until 8 October.